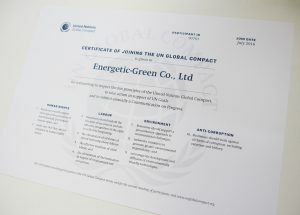 On July 27, 2016, Energetic Green signed UN Global Compact. We support creating sustainable business, and innovative companies, through promoting CSR on procurement. We are looking forward to having sustainable business with you!